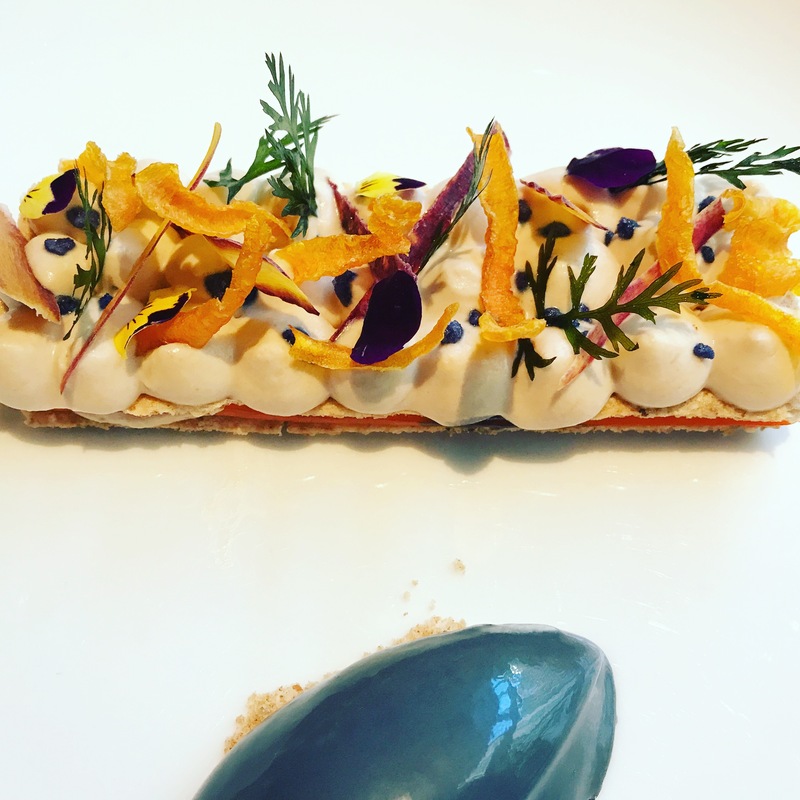 The Restaurant at Lot.1 Sydney has been open for a little over a year now. 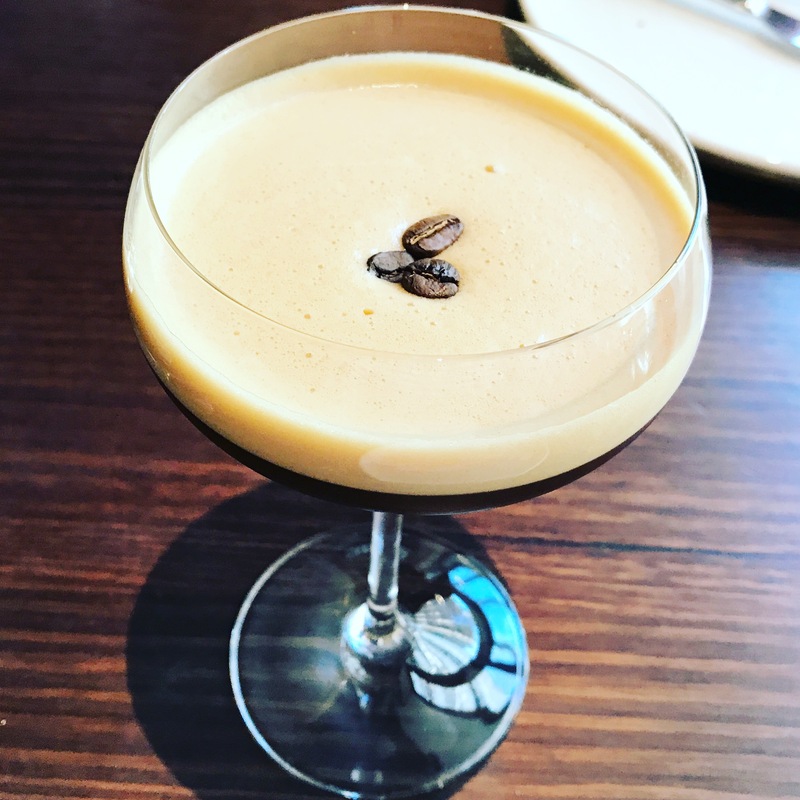 The entire venue spreads over three floors, and has a casual Espresso Bar perfect for a quick coffee or lunch, and a Basement Bar for the serious cocktail lover. 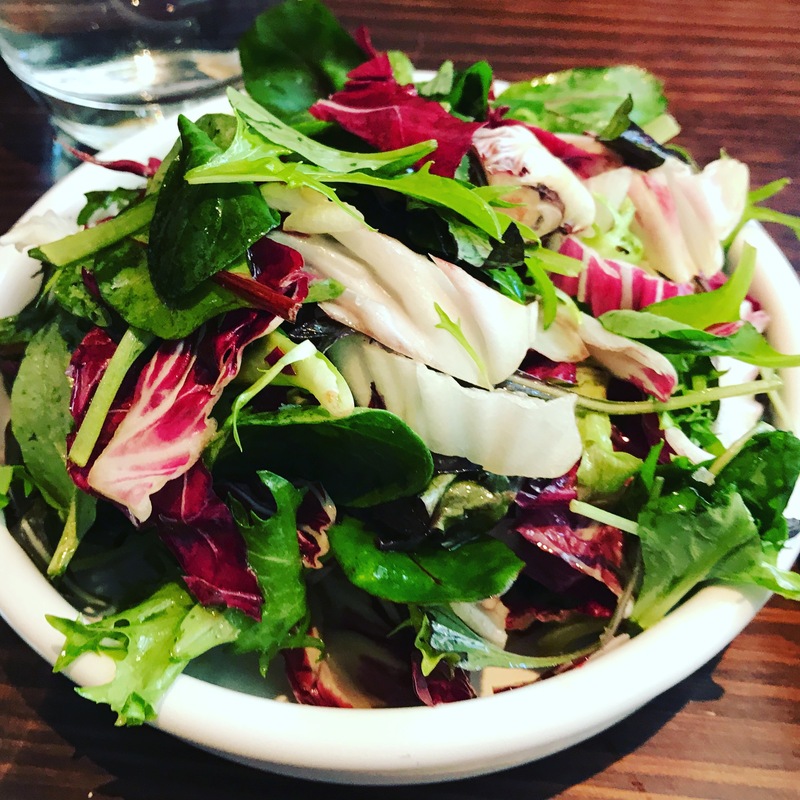 Lot.1 is the creation of Executive Chef Adam Swanson, teaming up with his childhood friend, Head Chef Ricardo Cavuoto, to create an authentic Italian offering, with a dash of modern Australian twist. 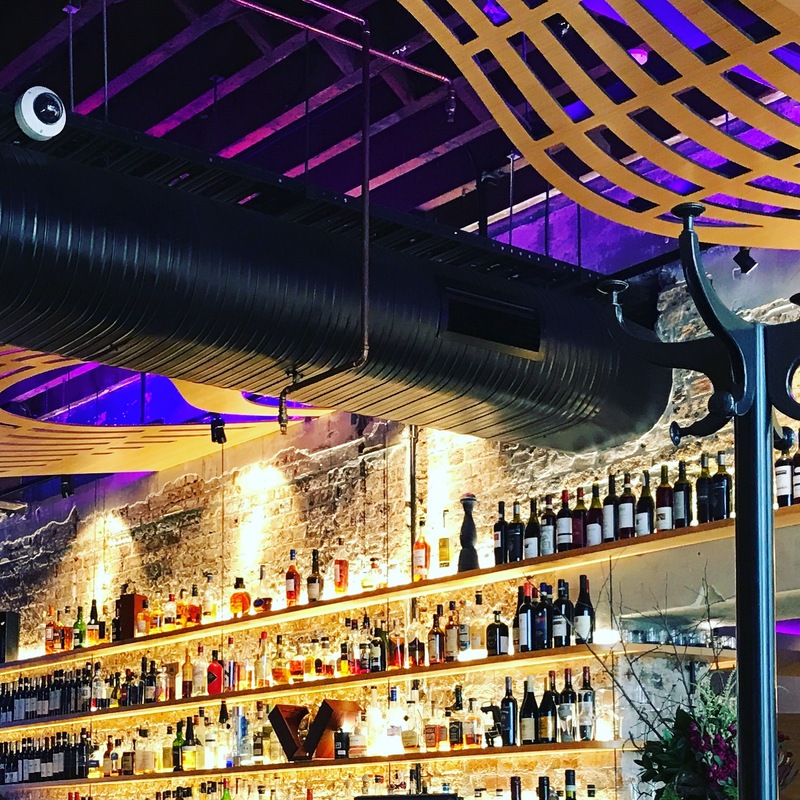 With a chic Manhattan vibe, excellent cocktails, delicious food, solid wine offerings, and professional yet affable service, the two friends have succeeded. The cocktail menu is a good place to start. 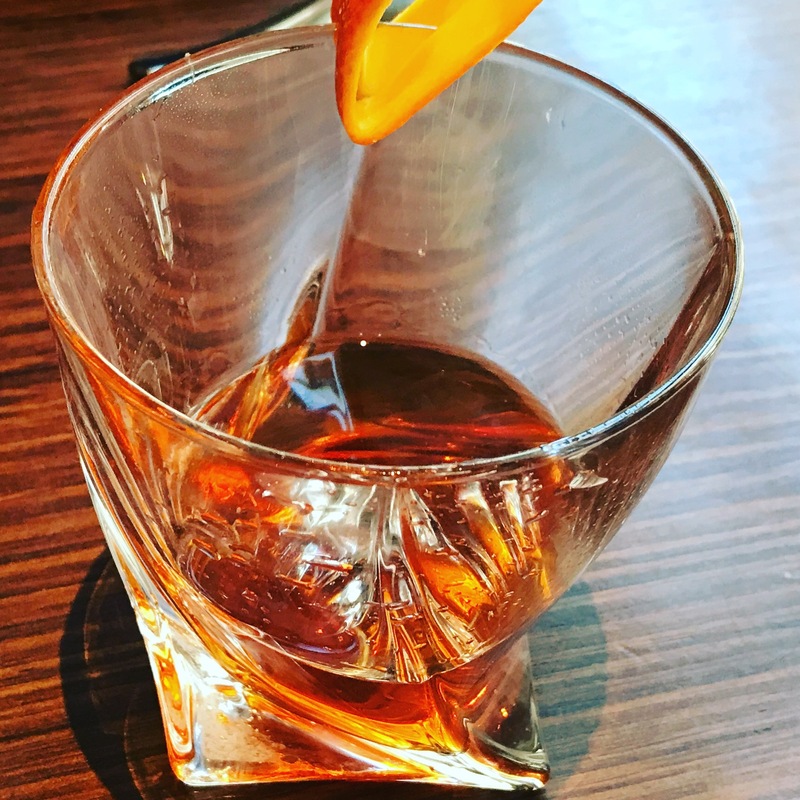 The Sazerac is sweet and delicious, and the Espresso Martini as it should be, with delicious freshly brewed coffee. 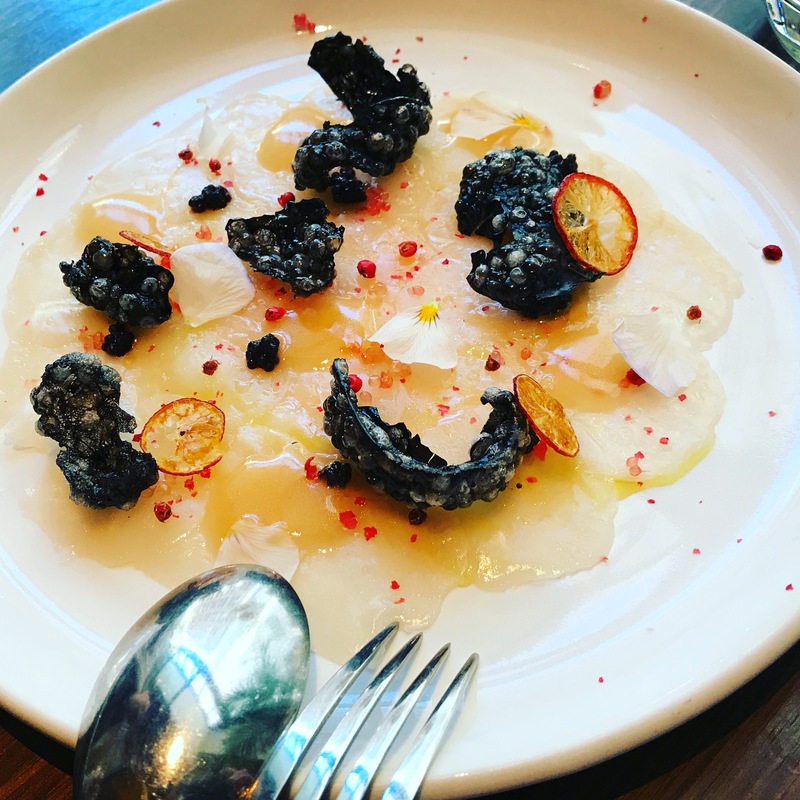 We started with a special of scallops carpaccio with caviar, which was delicate, well-balanced, and delicious. 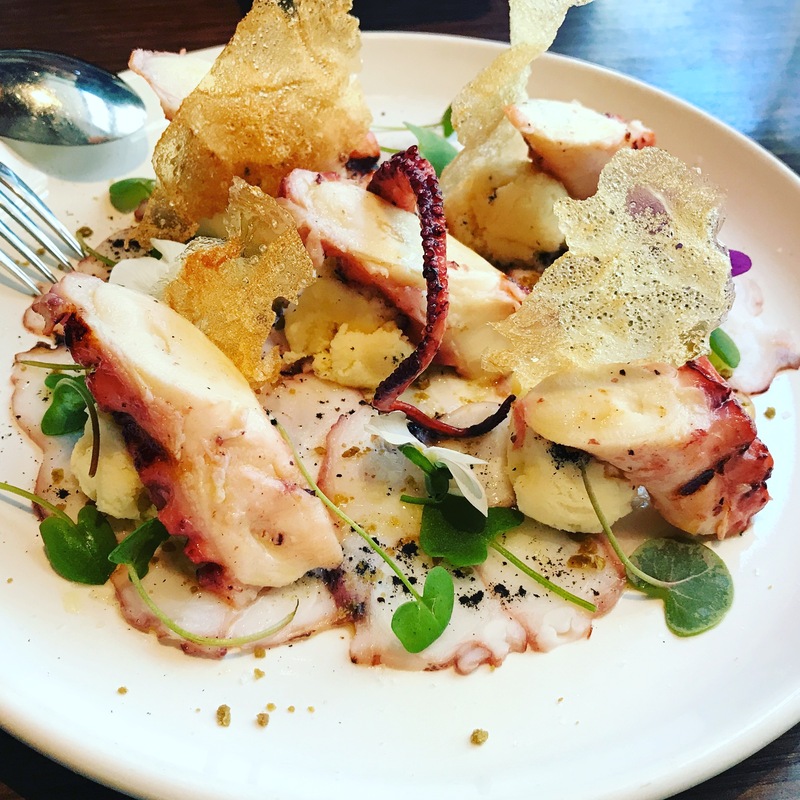 The delectable octopus with potato reminded me of an unforgettable dish we enjoyed a couple of years ago at a little trattoria while holidaying in Italy. 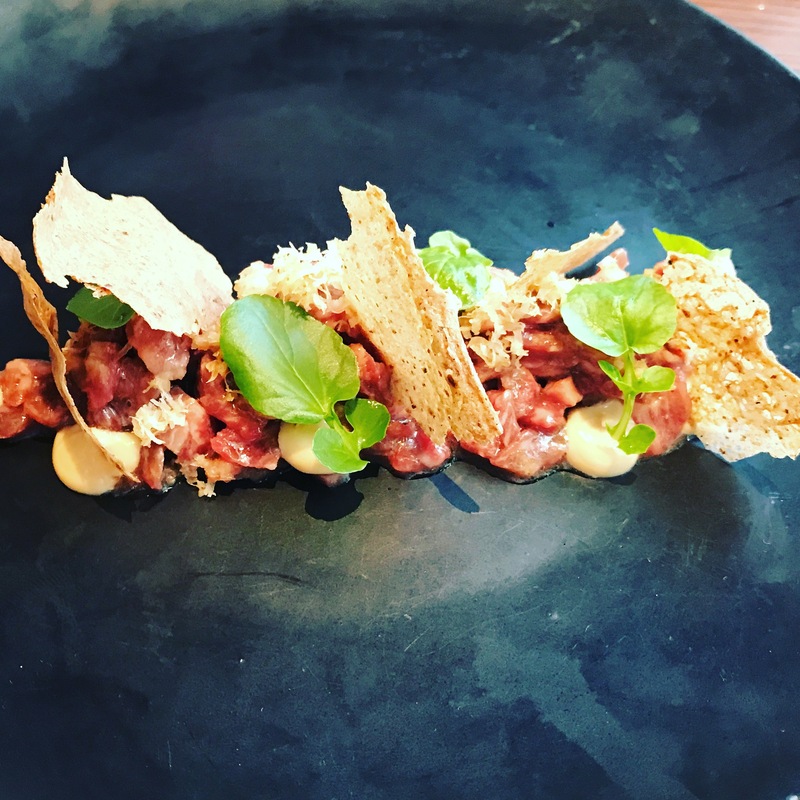 The final entrée we tried, the wagyu tartare was a real departure from the traditional flavouring, with an anchovy mousse and pickled hazelnuts. 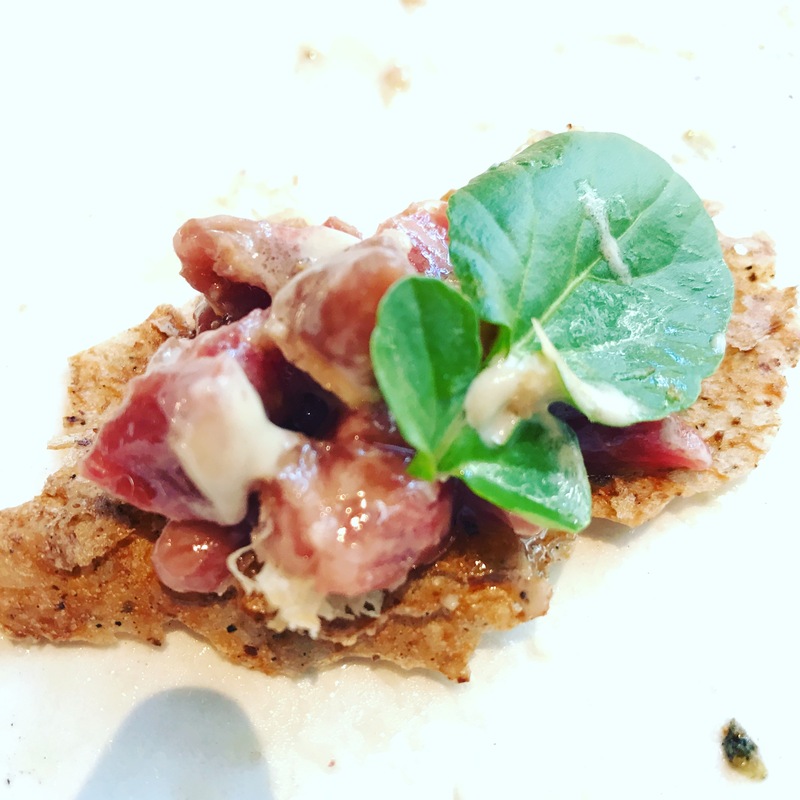 The gamble pays off though in a uniquely flavoursome, must-try dish. 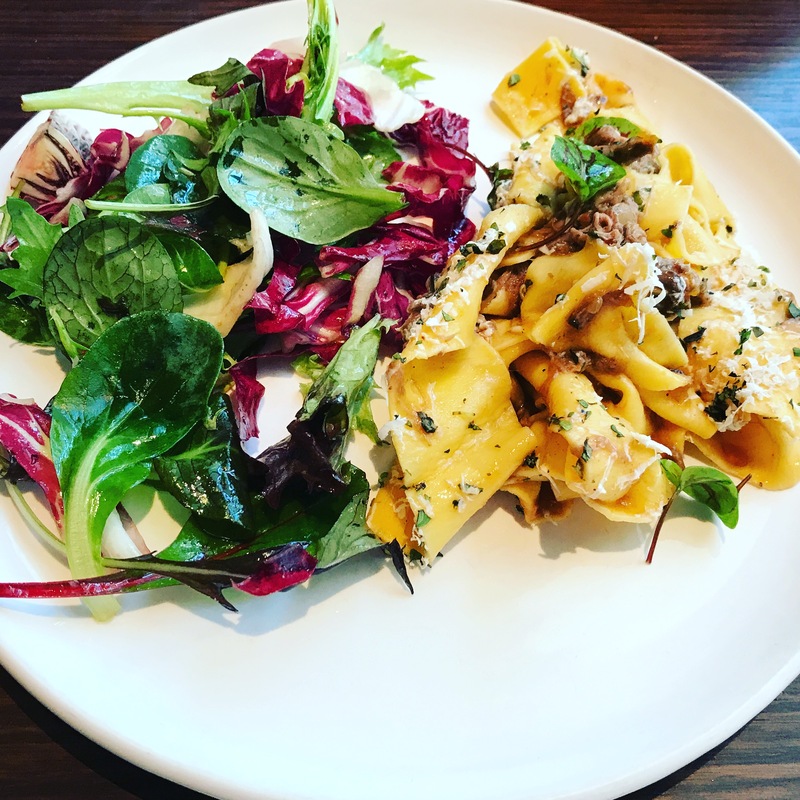 For our main meals we couldn’t go past the pastas. 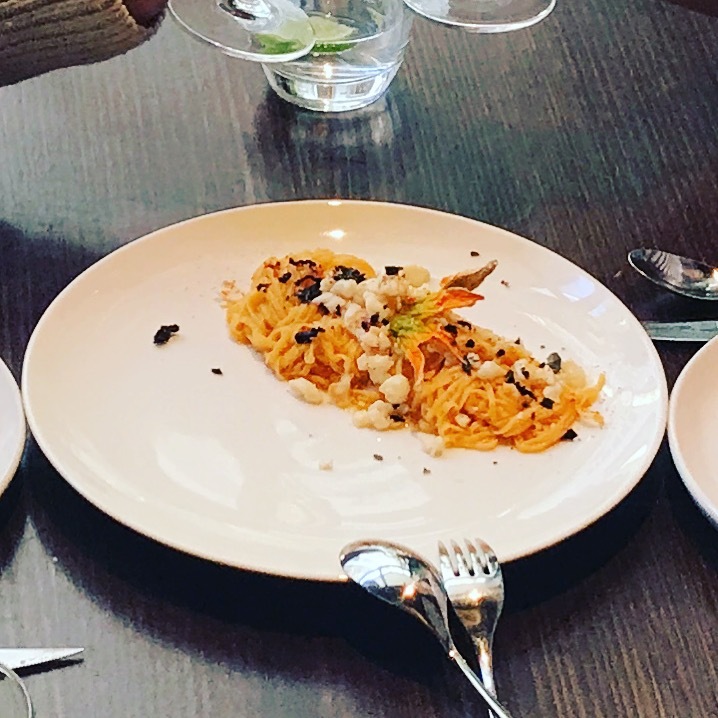 The spaghettini with WA spanner crab was delicious, with subtle garlic and chilli complementing the generous serving of the delicate spanner crab. 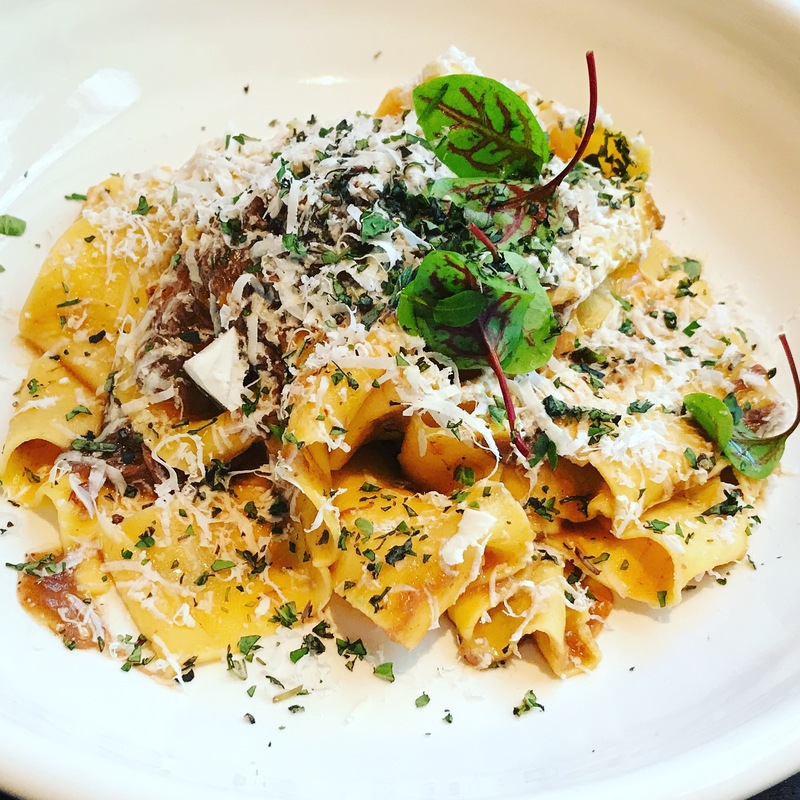 The paperdelle with oxtail ragù was robust, had a depth of complex flavours, creating a moreish dish that truly satisfied. And just when I thought things couldn’t get any better, the desserts arrived. Stunning pieces of delicious, sweet edible art. 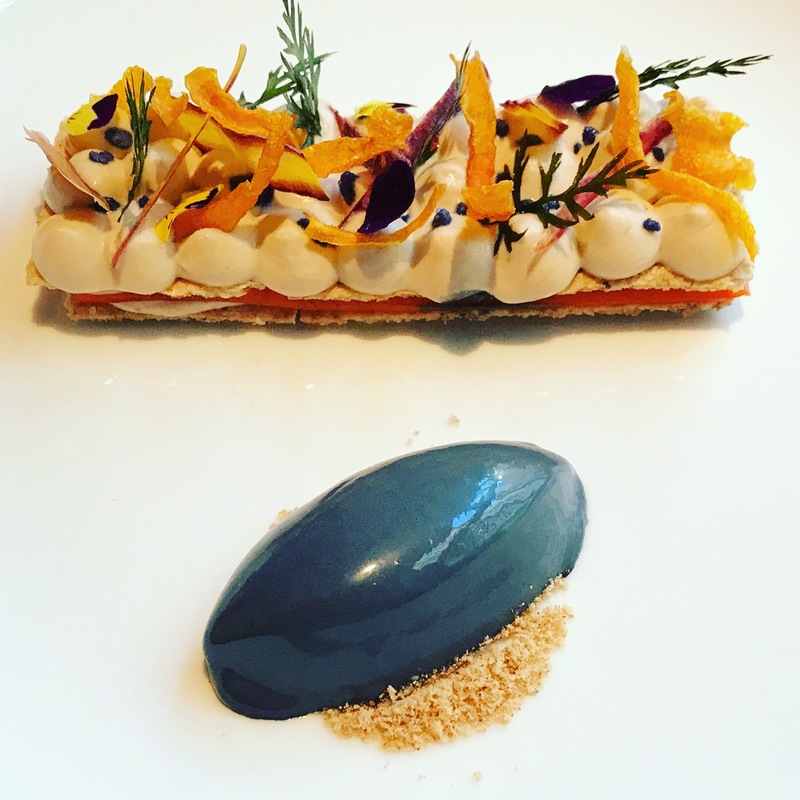 The walnut crème dacquoise with carrot, and liquorice gelato, recommended by our waitress, was a taste sensation, a combination of crunchiness and creaminess, topped with a masterfully balanced liquorice gelato that will please even the most sophisticated palate. 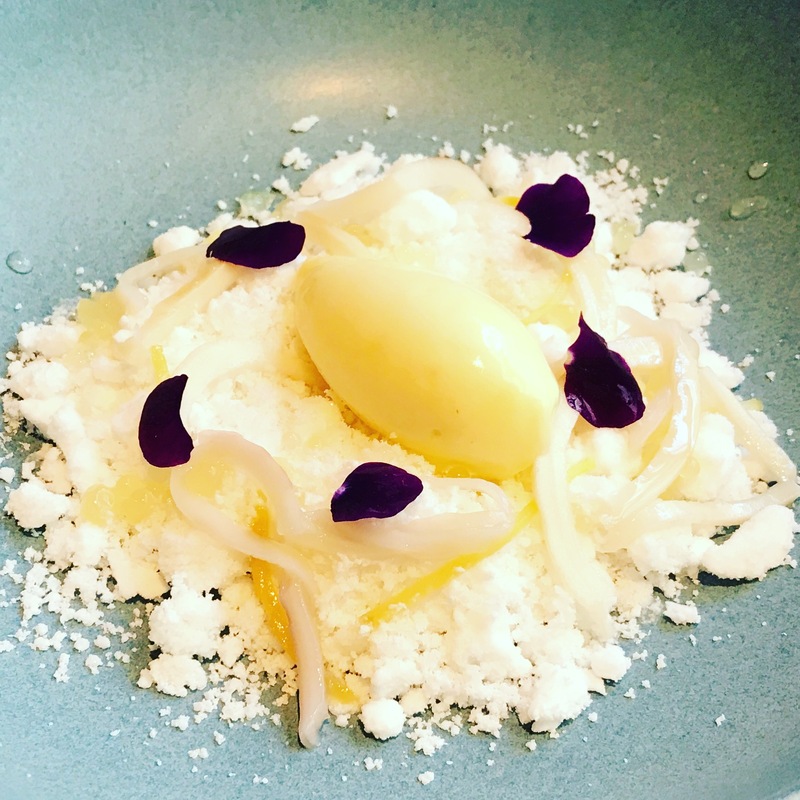 The refreshing coconut sorbet with pineapple granita, candy ginger, and pineapple pearls was a mini flavour explosion, and completed an exceptional gourmet experience. The service was an outstanding contributor to a great overall experience: professional, yet affable and personable, the kind of service which has been lacking in Sydney of late.